From Oaxaca people to you! Del Maguey is a brand that prides itself on its sustainability and focus on village producers. Taking their processes back to the ancient traditions of the Oaxaca people, Del Maguey ensures that these traditions are enshrined in their product. Sourcing their Tequila from individual villages, Del Maguey are able to support micro-economies in places where investment is needed. This also allows them to take a step back from the mass produced Tequila and present something unique to the market. Certified organic, this brand is incredibly authentic and somewhat timeless. 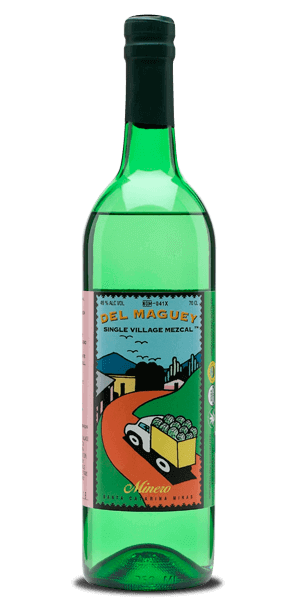 Del Maguey Minero is a full-bodied Mezcal that captures the essence of the South American regions in which it is born. Distilled in still of clay and bamboo, it is not only the flavour that is unique. Blending the floral and fruity notes of both the agave plant and juicy figs, this is a wonderful expression. The flavours meld together with a sugary sweetness that lasts from nose to finish. What does Del Maguey Minero taste like? The Flavor Spiral™ shows the most common flavors that you'll taste in Del Maguey Minero and gives you a chance to have a taste of it before actually tasting it. A delicious, full bodied combination of a full palette of fruit flavors with a hearty dose of smoke.